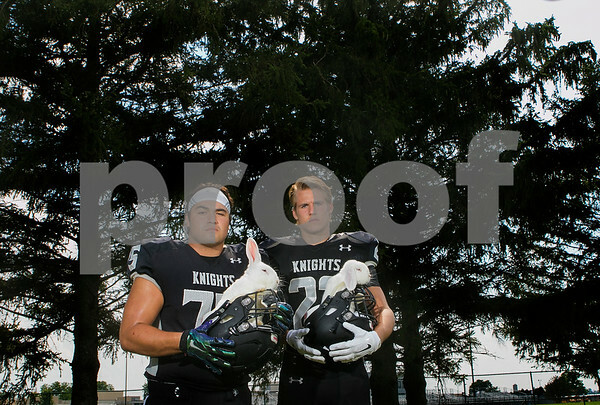 Kaneland defensive tackle senior Andy Kray (left) and senior wide receiver Mitch Groen (right) hope to pull some magic out of their helmets this season for the Knights. The rabbits are from Blue Moon Sanctuary of DeKalb, which uses rabbits for a variety of animal therapies with groups of people. Twister (left) survived the Fairdale tornado and Pluto is a rescued rabbit as well.